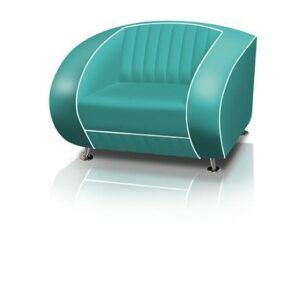 This contemparary sofa breathes the atmosphere of the fifties. 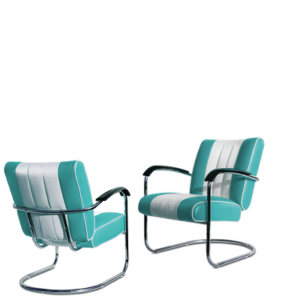 Ideal to create a corner sitting area with. 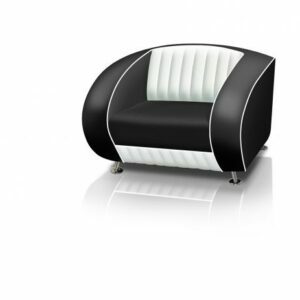 The sofa is available in seven bright colors with the stylish white elements on the back rest. 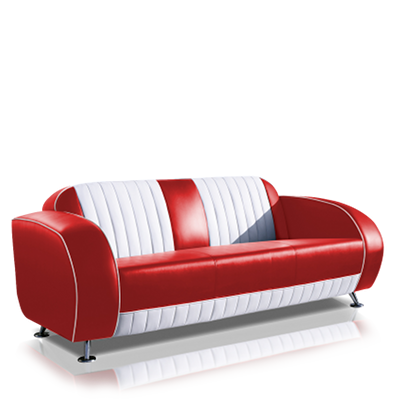 This comfortable sofa with vintage look is the ideal addition to any retro décor.